You are here: Home / Articles / The OKC SMUG learns “photography according to Shevaun”! The OKC SMUG learns “photography according to Shevaun”! The OKC-SMUG meeting was held in Norman, OK at the studio of Shevaun Williams and Associates. 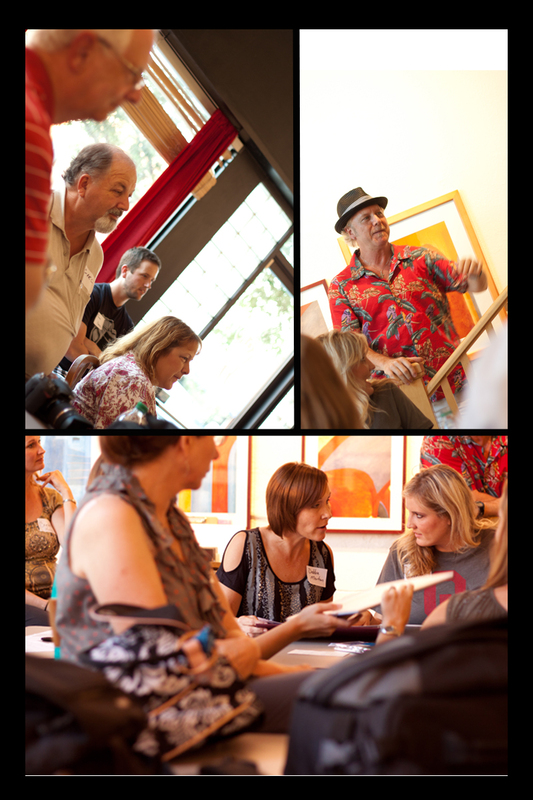 Everyone enjoyed meandering through the studio, checking out the amazing space before the meeting began. Our fearless leader, Holly, introduced Shevaun to the group, and she got started on her presentation. Shevaun started by giving us a little history of how she got into the business. Shevaun likes to be more of a generalist, not specializing in any one area such as wedding or architecture photography. Vanessa, Shevaun’s assistant, discussed the benefits of going to photography school. She mentioned that, as a student, professional photogs and others are very willing to help you. Vanessa also recommends working as an assistant if you do not feel you are quite ready to go out on your own. Next, we were fortunate to have Shevaun’s husband talk to us about his participation in the business. He came from a family of photographers, so he completely understands his wife's passion for photography. It's always nice to have someone appreciate, or at least understand, photography. Always send a thank you. It is an honor for them to choose you. The evening wrapped up with shooting some pictures in the studio while Shevaun gave us a run down on adjusting our lighting. It was great to see how Shevaun interacted with her subjects to get them to pose. Shevaun did a wonderful job and we appreciate her allowing us to join her at her studio and share some of her passion. I certainly hope we can all have the passion for photography that she has! 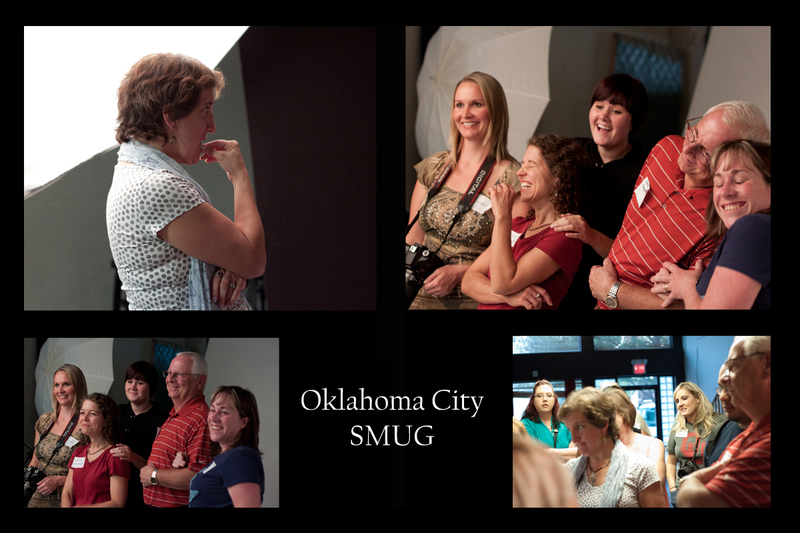 If you are interested in photography, please join us at one of our monthly OKC-SMUG meetings. You will find a great group of folks that all share a passion for photography. We would love to see you. Check out Sherri Smith's fantastic photos.